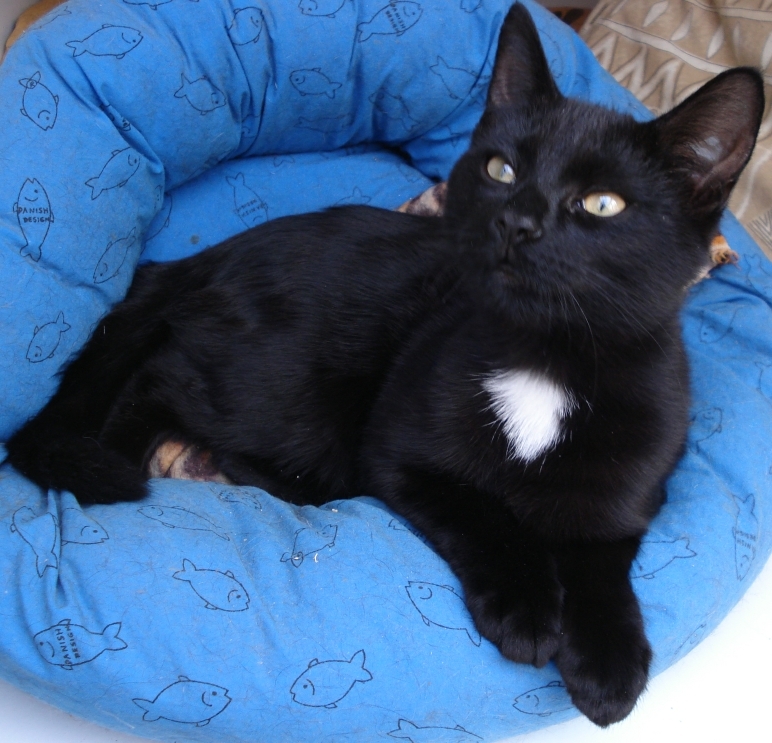 Black cats are as delightful as any of their colourful cousins, yet are sadly often overlooked. 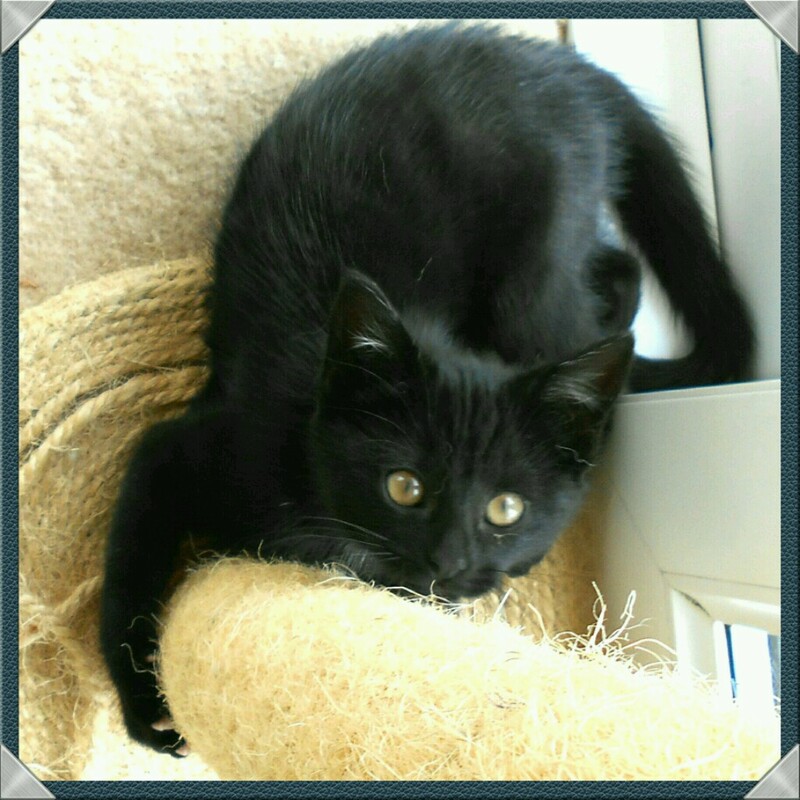 Black cats are just as sociable, playful, cheeky and adorable as any other shades of feline. Black cats’ coats are sleek, handsome, stunning, and beautiful and set off their striking bright eyes. Yet, these poor maligned moggies are always harder to home than any other coloured cat or kitten. On average they stay in our care much longer than those perceived to be ‘prettier’ colours. Is it because of superstition? Depending on your origins you may believe that black cats are either unlucky or lucky! Witches familiars were often said to be black cats. Those witches must have known what great companions they make. In some parts of the UK and Japan, a black cat crossing your path, or dreaming of a black cat, is said to bring you good luck. A black cat’s presence has been credited with bringing about show-stopping performances in theatres; in Scotland, finding black kittens sitting in your porch is a sign of riches and happiness to come! Some say black cats don’t stand out as much when people visit adoption centres; perhaps they disappear into the shadows more. They are harder to photograph so may not stand out as much on adoption websites. In this digital, cat-crazy-age we have even heard it said that people don’t like black cats because they don’t show up well in ‘selfies’. Fram and Sax CP wants to champion the cause of black cats. Please, if you are looking for a cat or kitten to share your home, look past the colour and consider adopting your very own lucky black cat. Check out our Adoption pages now - you will be spoilt for choice.